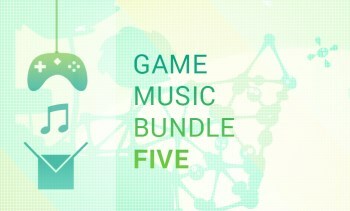 The Game Music Bundle 5 is a fantastic collection of soundtracks from games like Monaco, FTL, Fez and World of Goo, all at whatever price you care to pay. If you like videogame music, you're probably going to like the Game Music Bundle 5, an excellent collection of soundtracks from an eclectic mix of games. For a minimum payment of $1, you get the full soundtracks from Monaco: What's Yours Is Mine and Leisure Suit Larry Reloaded, both by some guy named Austin Wintory, plus FTL: Faster Than Light by Ben Prunty, Fez by Disasterpiece, Gunpoint by John Robert Matz, Ryan Ike and Fracisco Cerda, and World of Goo by Kyle Gabler. You're probably not going to find many better ways to spend a buck. But if you have more than a buck - ten of them, to be precise, but more is okay too - you can add 13 more albums to that collection. Behold! There are prizes for the top contributors as well, including a Fez t-shirt signed by Disasterpiece, copies of the Leisure Suit Larry Reloaded score signed by Austin Wintory and Al Lowe and Steam keys and posters for Monaco. The Game Music Bundle 5 is available now and will remain so for two weeks - which, for those of you who can't be bothered to look at a calendar, means you have until August 27 to get the job done.